Copyright, 1894, by Maurice A. Strothotte. Words by George Cooper. Music by Robert Elm. Full of love and duty, always my heart's delight. What a darling wife will be my pretty Dora Lee. Thought the whole world of her, she was my only joy.- Chorus. 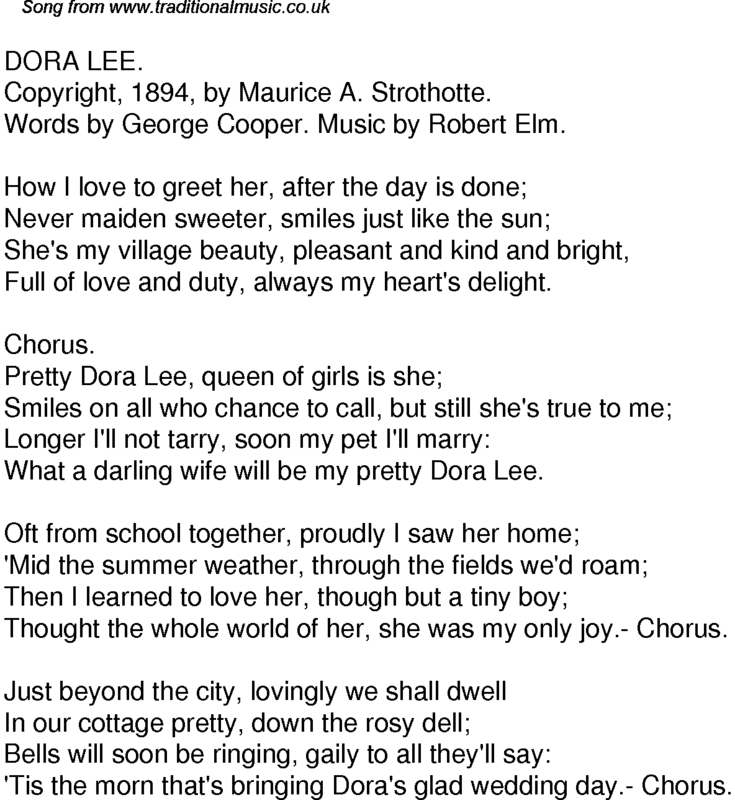 'Tis the morn that's bringing Dora's glad wedding day.- Chorus.